After hearing the news of Aretha Franklin’s passing this morning, I was holding back tears from the sadness of her loss. You see, unlike many of my friends and associates, I didn’t know her. I never had the chance to meet her, play with her, record for her or even see her live. I lived vicariously through the many stories from friends about what it was like to work with the Queen. She was on my Fantasy List of people I wanted to work with someday. And yes, I have a Fantasy List. She was, none the less, a heroine of mine. She was one of the first voices that touched me as a child. I couldn’t really explain what it was about her voice but I just loved listening to her sing anything and as often as I could. As I grew as a young man and my understanding expanded as a musician, she became even more important as I could now understand, with greater clarity, why she was so special. Her pitch, her emotional control, those incredible riffs were all things that I began to put together as to why she was called the Queen Of Soul. I got every album I could get my hands on. 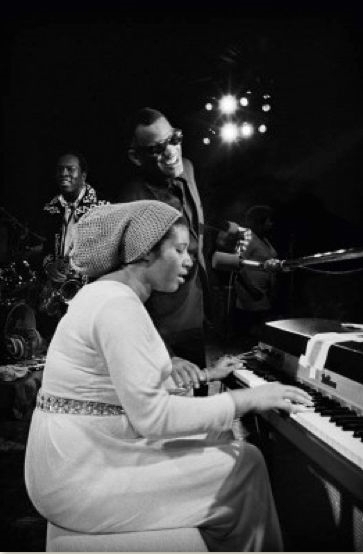 One day I found, “Aretha’s Jazz” and that was a game changer for me as she was singing her interpretations of songs made famous by many of the great jazz singers. I was amazed to hear that she, as she always did, gave great respect to the melody of these great songs but did so while never losing her own identity in them. It was still an Aretha album! And that’s my great take away from listening to and being influenced by this great woman. Always know who you are and be you 100% of the time no matter what you’re doing. So, in her honor and in her memory, may we all grab a piece of her courage and be bold enough to be all of who we are 100% of the time – especially we artists. Thank God for gifting us this precious soul for 76 years and allowing to live at a time where her contributions to our world could be captured for posterity so our children’s children can be as touched by her voice as we were.